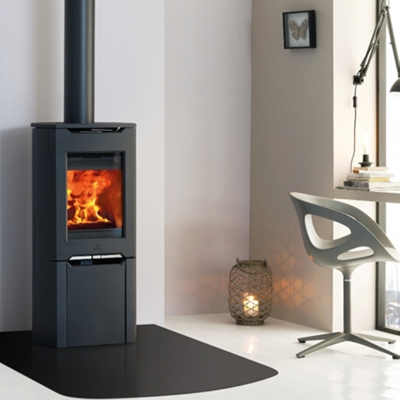 Jøtul F 262 is part of the F 260 series which consists of four types. These are all convection wood stoves that are well suited for installation against combustible material. Convection is achieved through an extra outer wall which allows for circulation of air between the combustion chamber and the outer walls. In this way, the temperature on the outside of the stove is reduced.